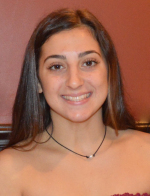 Brooke Madison Costanzo Share With Friend - Garfield, New Jersey | Aloia Funeral Home, Inc.
"God Bless your Soul Sweet Brooke. Our deepest Sympathies to Janine, Samantha., "
"We will all miss you . Our condolences to the family . My the angles watch over "
I'm sending you this notice to let you know that our friend Brooke Madison Costanzo has passed away. It is with deep regret that I'm e-mailing to inform you that Brooke Madison Costanzo has passed away.